Striker Iwan came through the Watford youth system and made his debut as a 17-year old in 1986. His first goal for the club was the winner against Manchester United later that year. 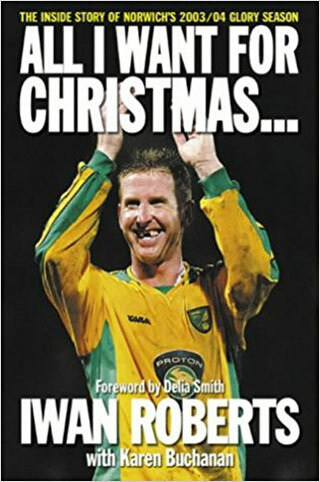 He left the club in 1990 to join Huddersfield, but is probably best remembered for his seven years with Norwich City. Now working in the media, Iwan spoke to Watford Legends in 2013. Hi Iwan. Thanks for talking to Watford Legends. You came through the youth system at Watford, but how did you find yourself at Watford in the first place? I was playing for the Welsh U18’s school side and the manager of the team was a man from Caernarfon, and he was good mates with Tom Walley. So he got on to Tom and Tom got me down to Watford to have a look at me. From the local leagues I knew Malcolm Allen, and I knew that he was at Watford and was developing well. So I met with Watford and although it was nerve-wracking I knew Malcolm and Tom were fluent Welsh speakers. 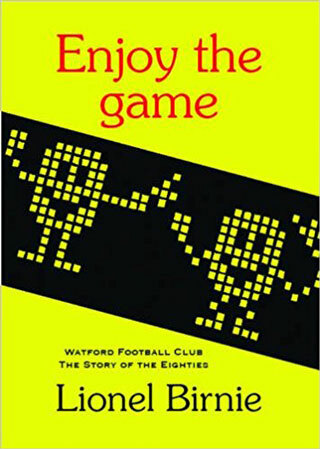 I had options to go to other clubs, but I only wanted to go to Watford because of Malcolm and Tom, and because they are known for giving home-grown players opportunities. Tom Walley is certainly held in high regard by many players who went through his youth coaching. Would you agree? Oh yes. The players he developed and coached….he was a one off. He knew his stuff and he knew what a good coach he was. You only need to look at the list of players that have been under his wing to see what a good coach he is. Cally and John Barnes to name only two. How did you settle in to Watford as a young lad from Wales? It was tough, I did get homesick. As soon as you start training though it becomes easier, and what helped me was that I was sharing a house in Garston with Worrell Sterling and Steve Thorne. So they were good company and became good friends. Worrell was the first to pass his driving test so he would drive us to training. So without their company I am sure I would have found it tougher. I was so disappointed when GT left as he was a big part of my decision to join the club. Even when I see him now he always asks how my parents are. Just a great footballing man. I was only there for two seasons under Graham before he announced he was off. I think everybody was disappointed when he left but I also think that everybody understood his reasons. He had probably taken Watford as far as he could at that point, but it was a very sad day when he left. How do you remember the change from GT to Bassett? Well it’s a bit like David Moyes now. Whoever was to take on that job was going to have a difficult time following such a stalwart. Looking at the styles of football that both Graham and Dave played, it wasn’t much different, but it was always going to be tough for Dave. I don’t think that the Watford crowd ever took to Dave and the players he brought over from Wimbledon. Looking at your stats, you were quite prolific through your career, a steady one in three. Yes I always took the view that if I could get a goal every third game then I would be happy. Altogether in my career I scored 239 goals, and I’m very happy with that. People thought of me as a bit of a lump, but I thought I was more than that. More than just a battering ram up front. At Watford you played 63 league games. Do you remember your debut? Yes I remember it very well. GT called me in on the Friday morning and told me I was playing. I think he had waited all week to see if Colin West could shake off an injury. It was a dream come true. I’d scored a few goals in the youth team and a few in the reserves, so I was feeling strong. My debut was a 0-0 draw with Ipswich, and I had Terry Butcher marking me. I won a few balls in the air and enjoyed the game but the one thing that struck me was the realisation of how hard it is to get a goal at that level. In the full 90 minutes I didn’t get a chance to get one header or shot at goal. It showed me what a tough thing it was. Do you remember your first goal? Oh yes, being a big Liverpool fan, I could never forget! We were playing Ron Atkinson’s Manchester United on a Tuesday night, and I was on the bench. We weren’t playing well, and at half time GT took Worrell Sterling off and put me up front with Luther. It was about 16 minutes from the end and the ball found its way to me, about 15 yards from goal. I just hit it first time and it beat Chris Turner who was in goal for Man Utd. It turned out to be the winning goal, so was a special night in my career. I still regard that goal as being one of the most important goals of my career. I didn’t score lots of goals for the club, and in fact in the end I had to move away from the club to get first team football, but that goal is a special one for me. Was Luther a favourite strike partner at the club? Yes, but we did also have a few other good strikers. We had Mark Falco, Colin West, Dean Holdsworth, but I think Luther did enjoy playing alongside a big man. Luther is such a gentleman as well. Always had time for me and to give me advice, so to get advice from someone of Luther’s stature was something you could only benefit from. You eventually left for Huddersfield. Was it for football reasons? Yes mostly, and sometimes you have to take one step back to make two steps forwards. I’d had a falling out with then manager Colin Lee. He and I did not see eye-to-eye, and he had told me that I would not be in the first team or the reserve team. So I knew that I had to get away to kick start my career. How have you found it coming back to Watford as an opposition number nine? I’ve always had a great welcome. It’s not always guaranteed, so I used to get dog’s abuse every time I went back to Wolves, but when I went back to Vicarage Road I always received a warm welcome. This was great, as I hold the club in high regard. I didn’t set the world on fire at the club but I leaned so much in my time there. I work for BBC Wales now and have done since 2006 doing the Welsh language commentary. I really enjoy it and mostly cover Cardiff and Swansea, and sometimes Wrexham. I think when you finish playing you want to be a manager or a coach, and if you are not doing that then you might as well do the next best thing which is to talk about it, and provide an insight and a viewpoint that maybe the fans might not see. So is English your first language? No Welsh is my mother tongue, but for as long as I can remember, I have spoken both languages. However growing up at home we spoke in Welsh. Do you have any plans to get back in to the game, or are you happy in the commentary box? I think if the right opportunity came along then I would love to have a go at coaching or managing. I played for 22 years in the game and worked for some very good managers and some very poor ones, and I’ve learned a lot from all of them. So yes, I would love to have a go if the opportunity came. Have you thrown your hat in to the ring for anything? I have couple of times, once was for the Norwich job, but it’s not crucial, I’m happy doing what I’m doing, and have a lot less grey hairs than if I was managing. Well thanks for your time Iwan.